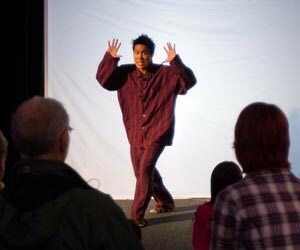 Be part of Shadow Boy, an interactive play starring Channel 9’s Kitchen Whiz, Andy Minh Trieu. Shadow Boy tells the story of a young boy from Australia’s Federation era who uses his imagination to overcome his fears. Take part in the experience and make your own Federation Arch out of LEGO®. Enjoy this free family event, suitable for children aged 5 and over. For a special treat stay and watch the architectural projections on the Museum of Australian Democracy after dark.